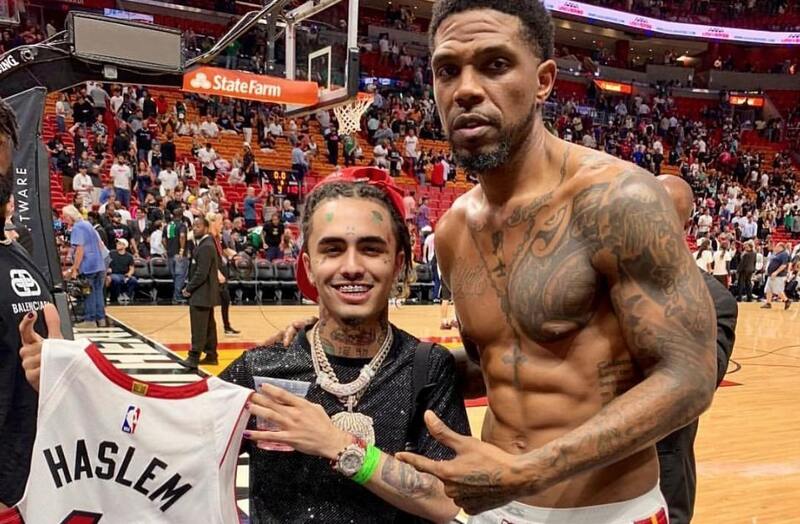 The Miami Heat’s Udonis Haslem took to Instagram to post a photo of his “jersey swap” with teenage rapper Lil Pump. It wasn’t exactly a jersey swap because the rapper didn’t have a jersey to give back to Haslem. That being said, Haslem’s kids are big fans of the rapper and the picture helped him win the “coolest dad of the year award.” The hilarious caption shows how friendly the Miami natives have become. Haslem is mulling retirement, but you wouldn’t know it from this picture. The 38-year-old looks like he’s still in fantastic shape. There’s no doubt that he’s capable of making a return to the Heat for the 2019-20 season. Of course, Haslem isn’t the same player he once was. While he won’t play big minutes if he returns, he can make a big impact in the locker room. The veteran is still a leader for Miami and a mainstay on a team that places value on culture.